A unique name identifying the template. 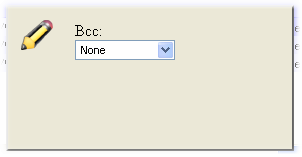 This field is editable only when adding a new template. The edit mode for this field is a dropdown list. The email will show this email address as the from email address. The edit mode for this field is a textbox. The email will show this name as the from name. The edit mode for this field is a textbox. The email will show this as the subject of the email. The edit mode for this field is a textbox. Enable or disable this template. If enabled, the template will be used to send out an email when the event for this template occurs. If disabled, the email is not sent. The edit mode for this field is a dropdown list. Valid only for Cc and Bcc fields. Selecting this disables the field. Send the mail to the customer. A secondary dropdown list allows you to send the mail only to the primary email address or to all the email addresses of the customer. Send the mail to a specific admin. A secondary dropdown list allows you to select the admin to send the mail to. Send the mail to all the admins in an admin group. 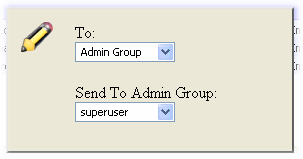 A secondary dropdown list allows you to select the admin group to send the mail to. Send the mail to a specific email address. A secondary textbox allows you to enter the email address to send the mail to.